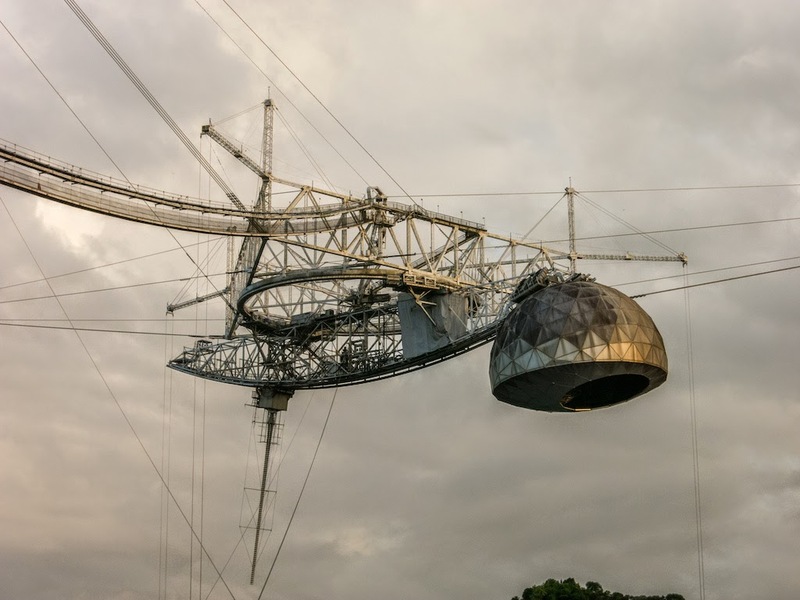 The Joint US-EISCAT Incoherent Scatter Radar School is to begin today (21st July) at the iconic Arecibo Observatory, Puerto Rico. Last night most participants arrived and gathered at the observatory for pizza. Many of us had their first chance to get a glimpse of the huge dish. The photos above were taken around 19:00h, in very nice and soft evening light. 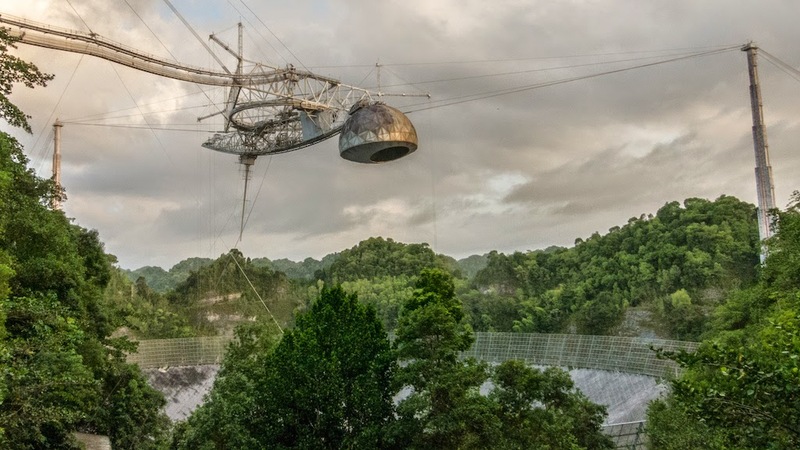 The first photo shows a small bit of the large reflector (300 m across) suspended in a depression produced by a karst sinkhole, and the second photo shows the 430 MHz, 2.5 MW transmitter feed on the left, and the Gregorian feed on the right. The whole assembly is suspended from a triangular platform, under which the feed-subreflector assembly can rotate and move about off centre to achieve some limited beam steering. Coming into the image from the left is the wave guide through which the high-power radar signal travels to the feed.